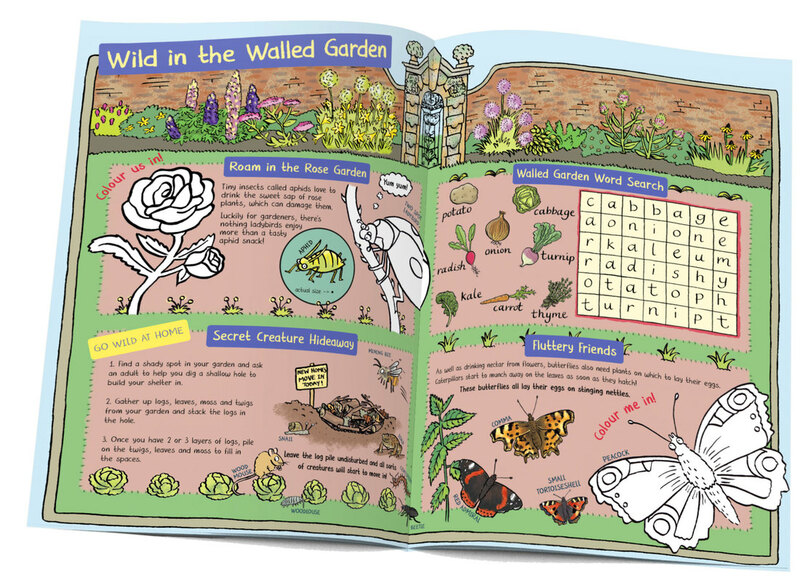 Children's illustrator and trail designer Emma Metcalfe has designed lots of seasonal and permanent family trails for Castle Howard over the years. The current version is Castle Howard Explorer. 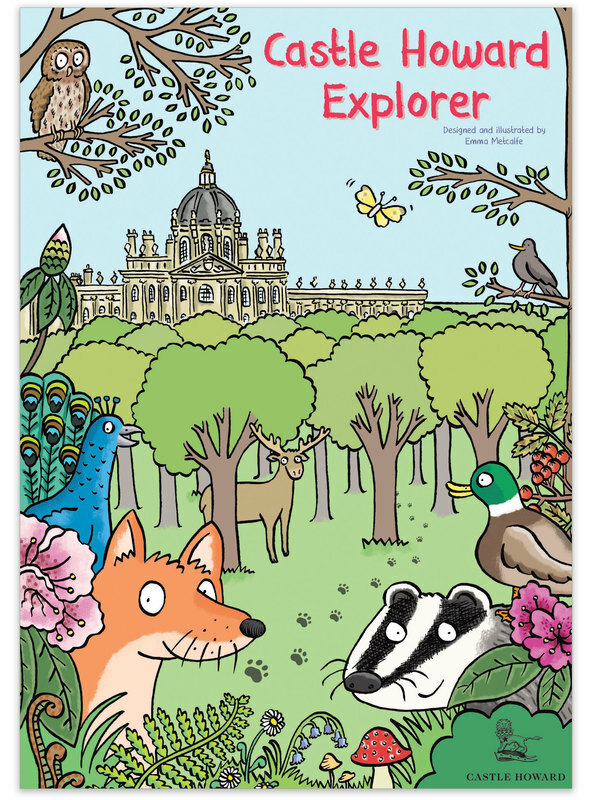 ﻿Castle Howard Explorer is an A4 trail booklet containing house, garden and woodland trails and activities for children and families. 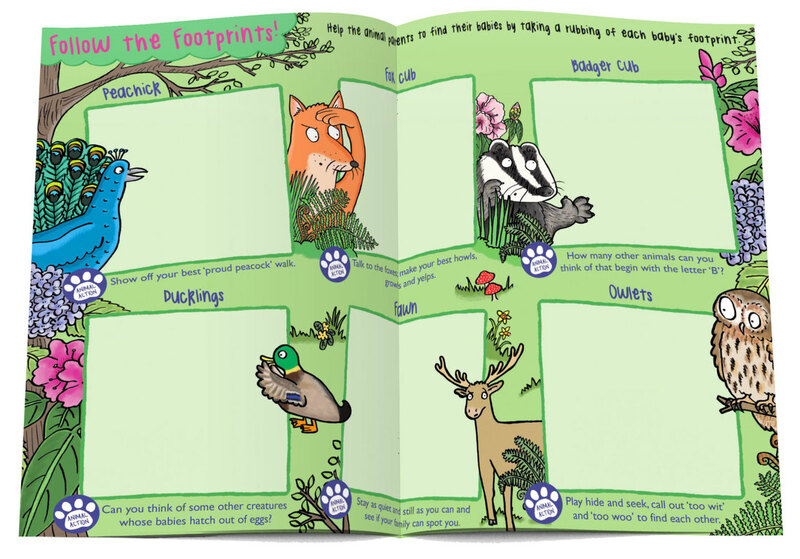 Follow the Footprints is a woodland trail where families help animal characters to find their babies by looking out for footprints and making brass rubbings. 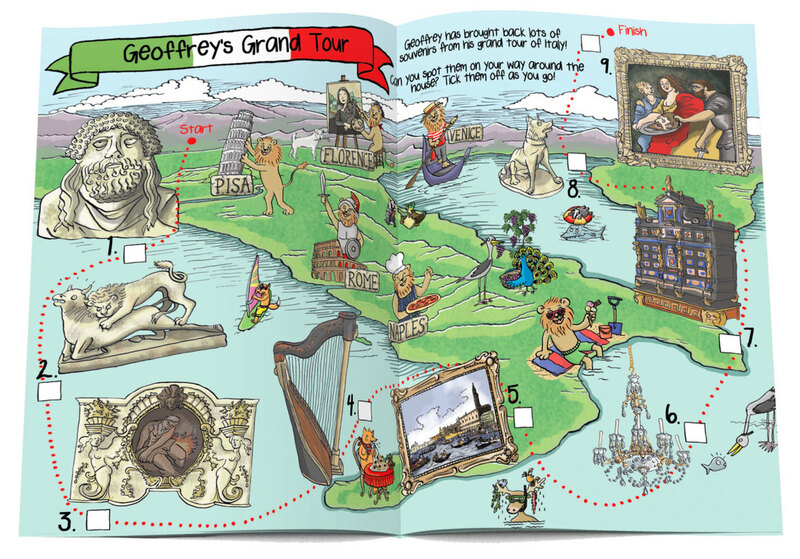 Geoffrey's Grand Tour is an 'I spy' trail around the manor house, encouraging children to look out for some of the amazing objects brought back from the Grand Tour. The trail is deliberately simple to cater for young children and non English-speakers.